Jesse James Wood, popularly known as Jesse Wood is a British musician and a model. He plays guitar and bass guitar. He is the son of The Rolling Stones musician Ronnie Wood. He has played for several bands. He now plays for Reef since 2014. He has 103k followers on his Instagram. The news came out that Jesse Wood drives his wife, Fearne Cotton mental at home. The interview also claimed that Fearne is a cleanliness freak, whereas Jesse is very opposite to his wife affecting their marriage life. However, Jesse and his TV presenter wife Fearne Cotton came forward on social media denying all the recent gossips about their marriage. Fearne went on to Instagram to shut down the false news. She posted a picture with her husband, with both showing their middle fingers and captioned the picture, "To all the lazy journalists out there still writing misinformed articles about our marriage by truncating and conflating information. Never.been.happpier". She wrote on Twitter, "A relative notified me of another stupid story about how my marriage is in trouble because a lazy journalist decided to truncate and conflate information to create a story out of nothing. I've never been more happily married. Jesse and I feel bloody lucky to have one another". Son of The Rolling Stones musician Ronnie Wood. Jesse Wood was born on 30 October 1976. His birth name is Jesse James Wood. He was born to a father, Ronnie Wood, and a mother Krissy Findlay. His birthplace is in Malibu, California, in the United States. He holds British nationality. His zodiac sign is Scorpio. He has 4 half-siblings from his father's other relationships after his parent's divorce. He has a half-sister, Leah Wood, half-brother, Tyrone Wood, and a step-brother, Jamie Wood from his father's marriage with Jo Wood. He also has half twin-sisters, Gracie Jane and Alice Rose from his father's marriage with Sally Humphreys. He attended King's House School and Ibstock Place School in Roehampton, South-west London. He has played with several bands. He had previously played with Glyda, The Leah Wood Band, The Ronnie Wood Band, Wills And The Willing, HOGG, and The Black Swan Effect. In 2010, he joined the band Carbon/Silicon. He then joined the two friends, John Hogg, and Sean Genockey, in the band RedRacer in 2014. In April same year, 2014, he joined Reef. He also has modeling ventures. 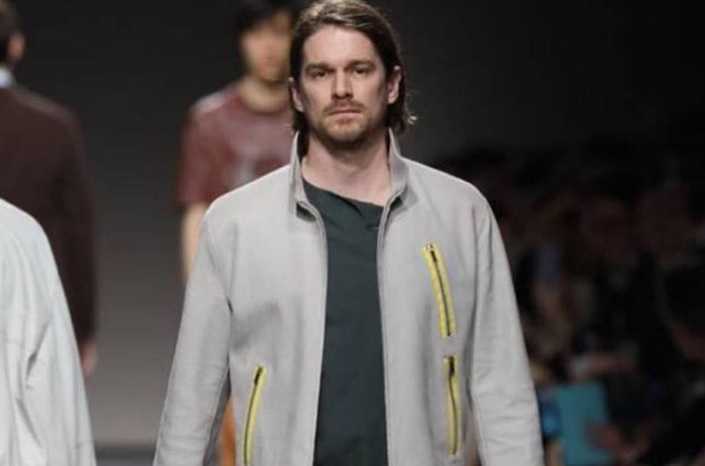 He has modeled for Yohji Yamamoto fragrance and Liam Gallagher's Pretty Green clothing label. Who is Jesse Wood Married to? Jesse Wood has been married twice. He first married Tilly Wood. They tied a knot to each other in 2003. The couple shares 2 children together. They later separated. He then started dating TV presenter Fearne Cotton in 2011. His girlfriend, Cotton gave birth to a son, Rex Rayne Wood in February 2013. The couple got engaged in December 2013. They later got married on 4 July 2014. The couple gave birth to their second child, a daughter, Honey Krissy Wood in September 2015. He lives with his family in Richmond. What are Jesse Wood's Body Measurements? 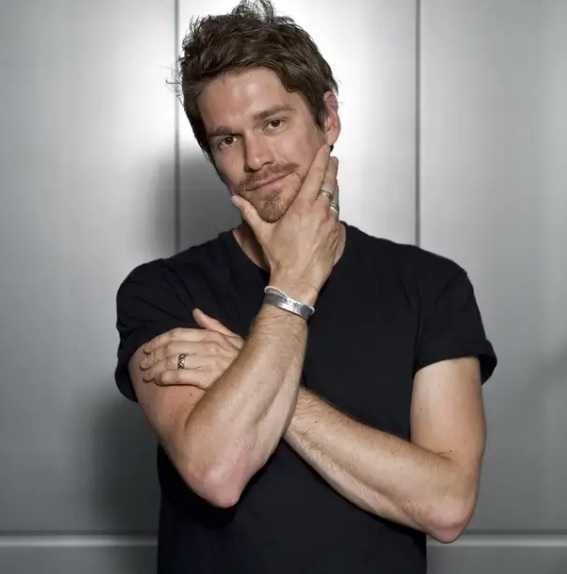 Jesse Wood stands at a height of 1.87 m i.e. 6 feet and 1 and a half inch tall. He has a body weight of 198 lbs i.e. 90 kg. He has a slim body build. He has brown hair and brown eyes. He wears a shoe of size 9 (US). What is Jesse Wood's Net Worth? Playing guitar for his band is his major source of income. Besides playing music, he is also a model. As of 2019, his net worth is under evaluation. His mother died of an accidental overdose in 2005. British GQ "My Style" page featured him in December 2014.